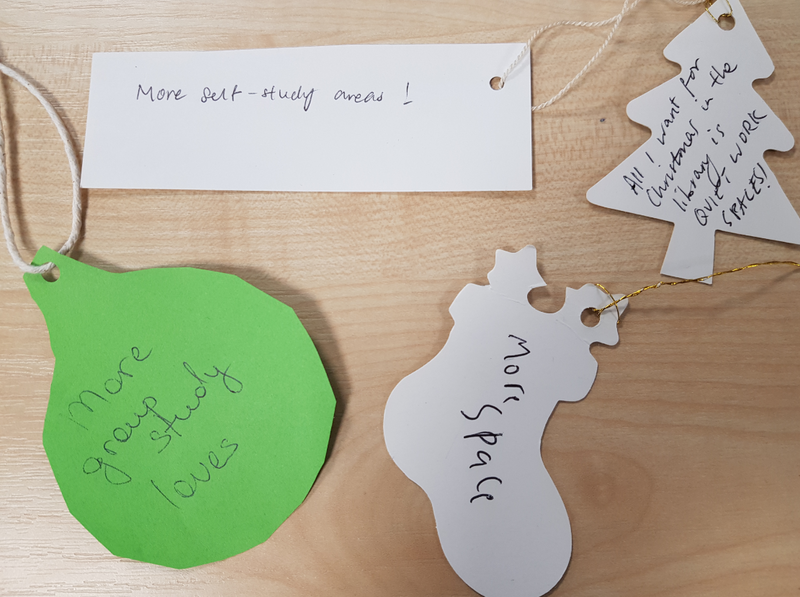 Don’t forget – between 7-25 January, Library+ will be open in the AC building, offering a mix of additional quiet and group study rooms. The space will be open 8am-12 midnight, every day of the week during this period. It’s easy to find – just exit the Library (using the doors closest to the Appleseed bookshop) and you’ll see the signs straight ahead! It’s less than a 30 second walk. Need to use a computer? No problem. Just borrow one of our laptops from Level 1 and take this with you. As in the library, if you do have any problems with noise you can use the usual text alert service Mon-Fri 9am-5pm and Library staff will respond. There’ll be water, hot drinks and fruit available in the break-out foyer area, and some cold snacks on sale Mon-Fri 11am-5pm . 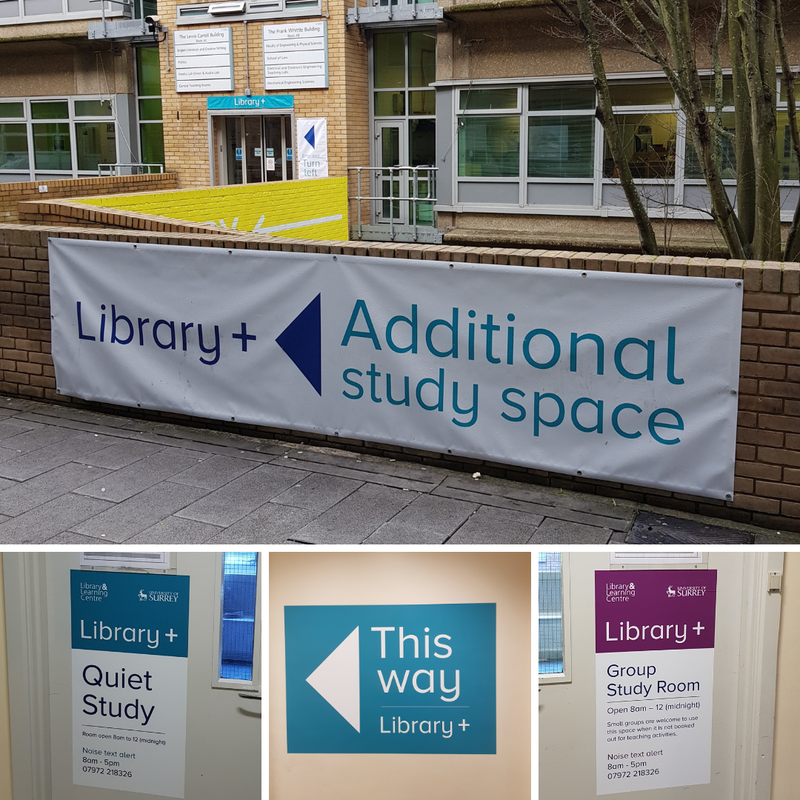 If you have any comments or feedback about this additional space, let us know: library-feedback@surrey.ac.uk.